I am a lifelong horse-lover and traveler. After a series of American Saddlebred trail horses, I now own a Morgan mare named Boo. My husband and I just returned from a trip to the Panama Canal. I was thinking about the deliberate destruction of the ancient Maya city of Noh Mul in Orange Walk District, located in northern Belize. Believe it or not, it gets worse. 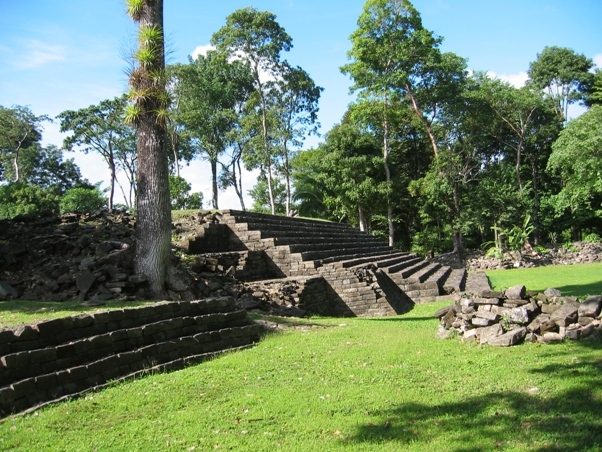 According to the same BBC account, the destruction of “irreplaceable Maya sites has happened before.” American archaeologist Professor Normand Hammond noted that ‘“Bulldozing Maya mounds for road fill is an endemic problem in Belize.”’ According to CNN, the pyramid “stood about 65 feet tall and was built around 250 B.C. with hand-cut limestone bricks.” The limestone is “quality material” that is “prized by contractors,” and for that reason is often “used to upgrade local roads,” charged local opposition legislator John Briceno on CTV3 News in Belize. 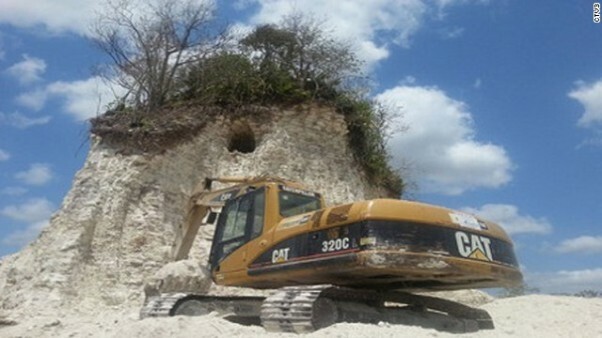 When the archaeologists were interviewed, they said they planned to “ask police to take action against both the landowner and contractor.” The deliberate destruction of ancient Maya cites carries a ten-year prison term or a $10,000 fine. Has the construction company responsible been identified? Yes. The foreman and three of the workers operating heavy equipment that day have all been publicly identified, as was the owner of the property. Has anyone been charged? No. And that’s as of right now—almost a year after the pyramid was destroyed. No one in Dean Barrow’s government, including the Ministry of Works or anyone who works for him—has been charged. Is that how the Belize government “protects” the country’s irreplaceable ancient Maya ruins? If you would like to tell the Prime Minister that this is a tragedy of international proportions (he doesn’t seem to realize that), e-mail or phone Dean Barrow and tell him so: PrimeMinister@belize.gov.bz 501-822-2886. Is Belize corrupt? Yes. And, unfortunately, beautiful as well. Here are a couple of stories about Belize City that aren’t in my book. Chronologically, the country now known as Belize was “discovered” by Spanish explorers, settled by English pirates, loggers, and farmers. But none of them were the country’s first inhabitants. 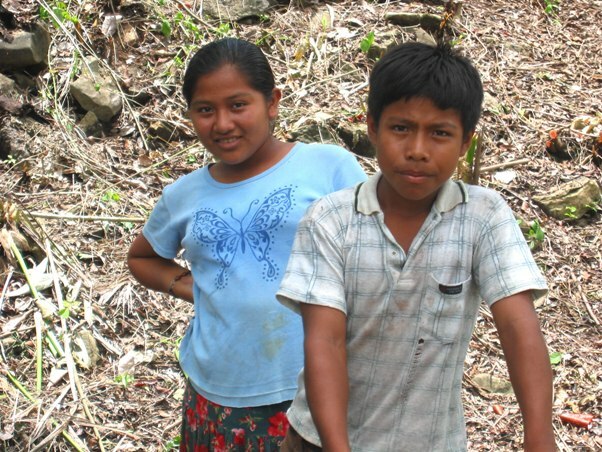 That honor goes to the indigenous people of Belize—the Maya, whose vast stone monuments dot the landscape like gold nuggets among the stones of a riverbed. 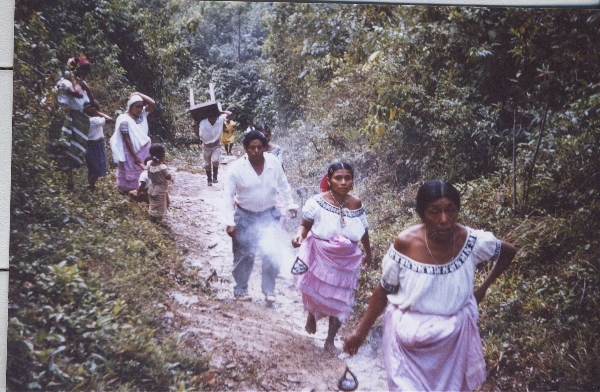 When I lived in Rio Blanco, the Maya weren’t the only people of another culture I met. While the country itself was a British colony, the entire educational system was run by American Jesuits from the Missouri Province in St. Louis. Father John Paul Cull, the priest in Toledo District, was American—tall, lean, given to abrupt speech and movements, a man who seldom smiled. He was also the only Roman Catholic priest I’ve ever made friends with. The blogger is (finally) back! 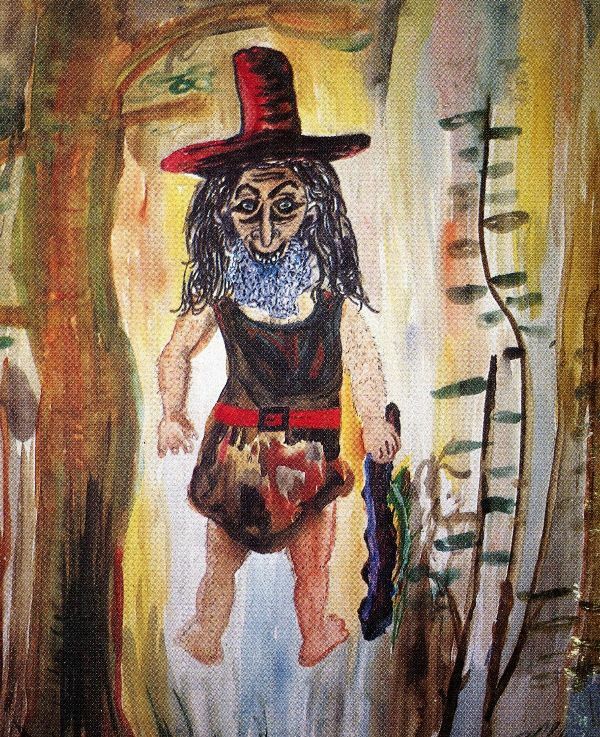 This is another story from when I lived in Belize. I didn’t include it in How to Cook a Tapir because it’s still painful to think about. Most Americans have no idea how boring life in a small, primitive (no electricity, no plumbing), isolated society like Rio Blanco can be on a day-to-day basis, especially 50 years ago. The only similar societies here that I’m aware of are the assisted living homes where my mother, then in her 90s, spent the last few years of her life. Although my father was a mild-mannered accountant when I left for the colony of British Honduras (in those days, the capital was Belize—not Belize City, just Belize), he got into a lot of scrapes as a kid. One of them involved an older half brother and a fishhook. The particulars of what took place are fuzzy, but at the end, my father had a fishhook lodged in his ear. He went through the rest of his life with a punctured eardrum. This title can be taken three ways. There is a literal time change when you fly to Belize from almost anyplace in the U.S.—which itself has six time zones, counting Alaska and Hawaii. Canada has five time zones. If you’re coming from anywhere else, you’ll have to figure out the time change for yourself. As a country, Belize represents a different time—a slower, more relaxed one—and your mind and body will have to get in sync with it. But those two words can also be taken to mean that the times themselves change, and that’s what I want to talk about today, now that Belize is 50 years behind me. Here’s a story that didn’t make it into my book. 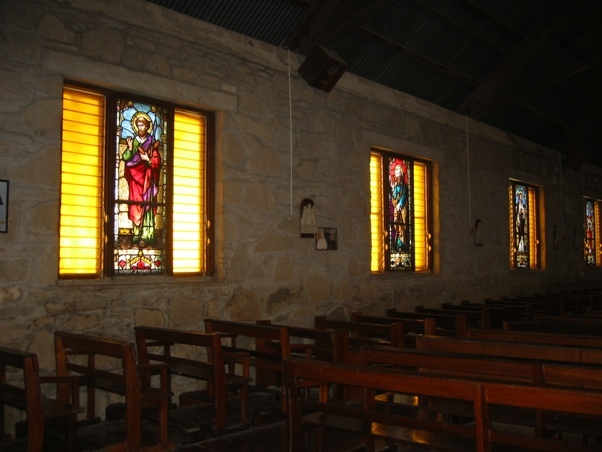 It happened fairly early during my stay in Rio Blanco, and I didn’t include it because I had already documented my many cultural blunders and didn’t see the point of including another example. Besides—the incident wasn’t really that funny. Except to the Maya. There’s something about Belize that inspires coincidences. Not only for me, either. So many people have noticed all the implausible events that cluster around this small, insignificant country they’ve even coined an expression to describe the phenomenon: Belize it or not. Although some people claim to find the jungle a calm and relaxing place, other people do not—not even when they live there. 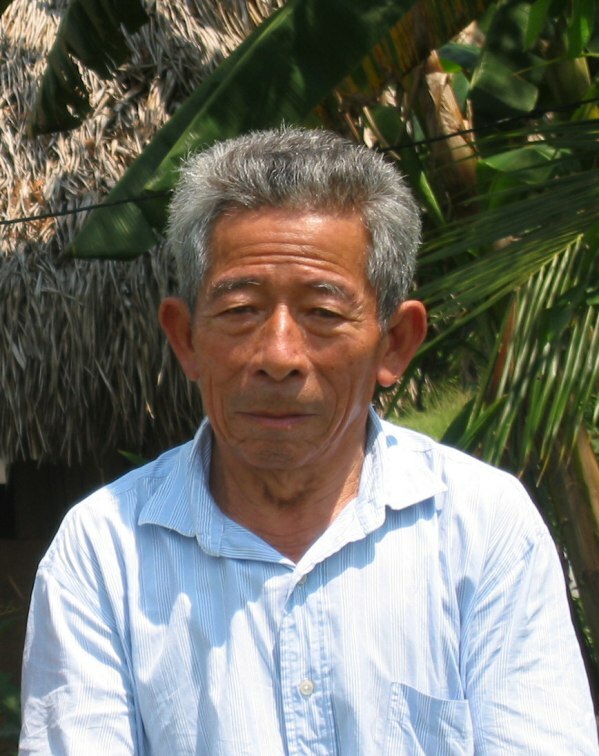 Belizeans of all cultures and colors live in the bush, either one-one (by themselves) or in small, often isolated towns. Like forest-dwellers everywhere, they have plenty of reasons to fear the rainforest. I talked about your run-of-the-mill poisonous and otherwise disagreeable plants and animals last week, along with a woman the Kekchi Maya call ix tabi. Since nobody has ever photographed one (what a surprise), I had to resort to a staged photo from the internet. This time I’m resorting to a drawing. (More about that in a minute.) The ix tabi share the rainforest with other creatures, who have likewise never been photographed. Very few people move to Belize with the intention of living in the rainforest.Like forests everywhere—those that still remain in regions of this country, the “forest primeval” of Europe, the Australian outback, and the ancient woods of Scandinavian countries—most people find them frightening. 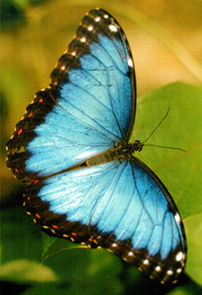 A Blue Morpho Butterfly (Morpho peleides). Photo by Green Hills Butterfly Ranch, Belize. 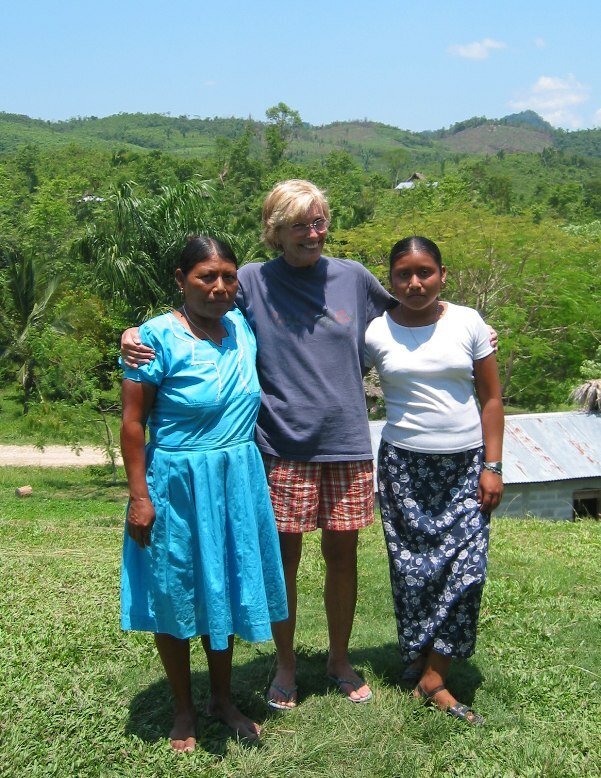 Joan Fry at the ancient Maya site of Lamanai, 2009. She had been invited by the Museum of Belize to lecture on her book, How to Cook a Tapir: A Memoir of Belize. 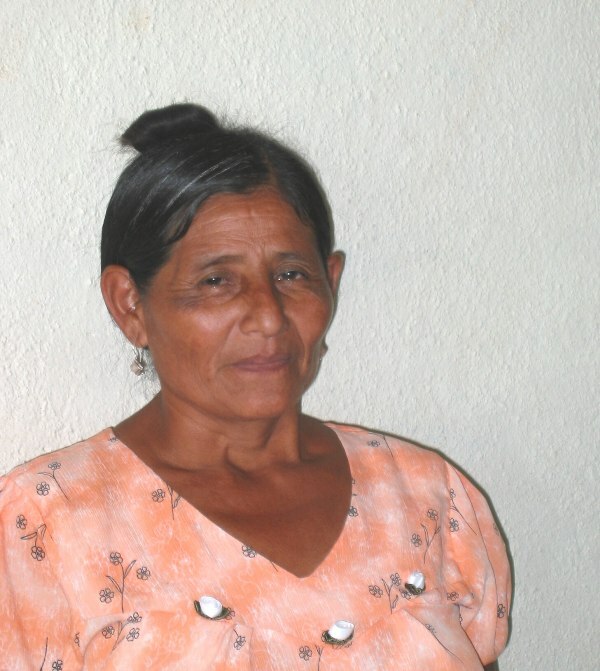 For more information about her life in Belize—and her other books—visit her website at joanfry.com. Photo by Lee Bernard.